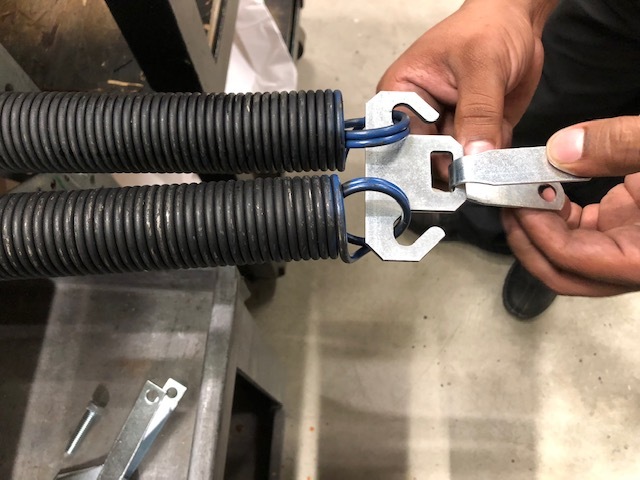 Extension spring tandem yokes allow for a total four springs on an extension spring system. They are a good alternative for heavier doors. Using four smaller springs will often save on the cost as well. Above is our tandem yoke plate for lighter doors that weigh less than 250 pounds. Normally a garage door will have two springs with each rated the same as the door weight. 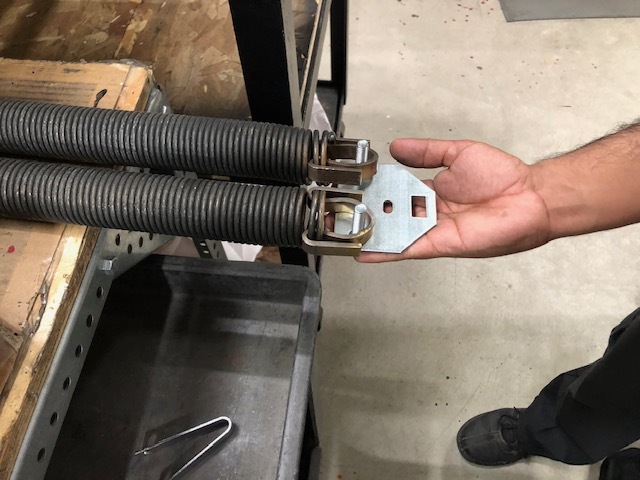 On a tandem system, there are four springs, and the pull on the two added together on each side will be rated for the door’s weight. For example, a 160-pound door usually has two extension springs rated at 160 pounds per spring. With a tandem system, each spring will be rated at half that amount or 80 pounds each. So each spring does half the work. For doors weighing over 250 pounds, we recommend the EXT-HKP1 tandem kit. 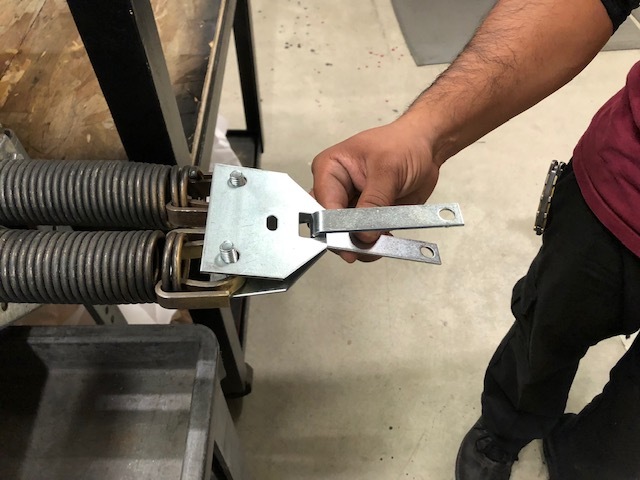 Notice how the clips are connected and sandwiched between the plates. Can you mix spring lifts on a tandem spring system? Generally, yes, but the springs should be closely matched. For example, springs rated at 120 pounds and 40 pounds per side would not be a good mix. The yoke will pitch because of the different pulls. However, a pair of 90-pound and 70-pound pull springs should work fine. We have always recommended extension spring safety cables, and utilizing these with a four-spring system is no exception. As with any spring installation exercise extreme caution! This entry was filed under Products, Technical Support. You can follow any responses to this entry through the RSS 2.0 feed.